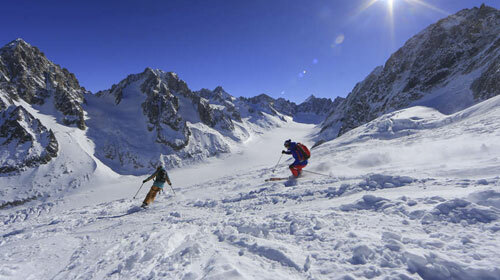 Do you fancy experiencing world class skiing in three different countries? 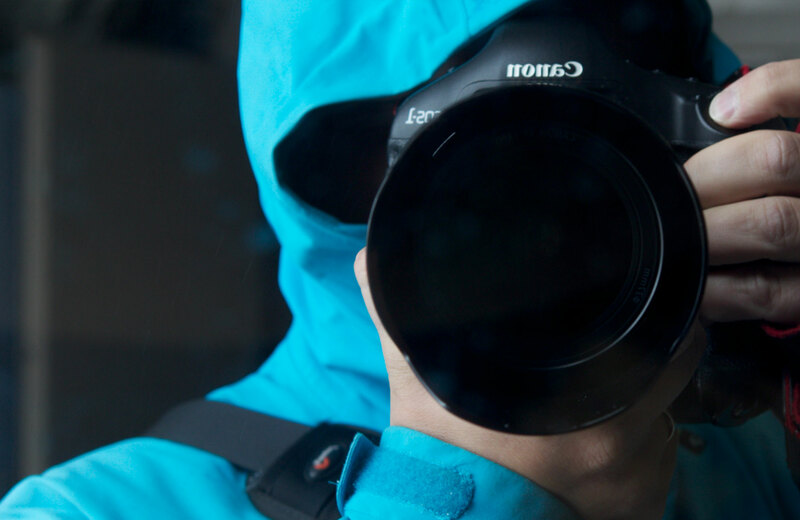 Our Ski Safari package allows you to do just that in just one week! 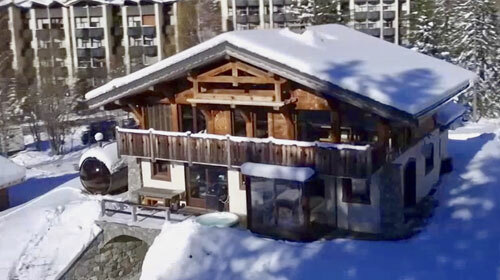 The Cold Fusion chalets in Chamonix are the perfect base from which to explore the neighbouring resorts of Courmayeur in Italy and Verbier in Switzerland and of course, the limitless terrain of the Chamonix Mont Blanc valley during your stay. All of these resorts are covered by the same Mont Blanc Unlimited ski pass (excluding Verbier) and so there will be no need to purchase a different ski pass for each resort, making your visits to neighbouring resorts simple and hassle-free. 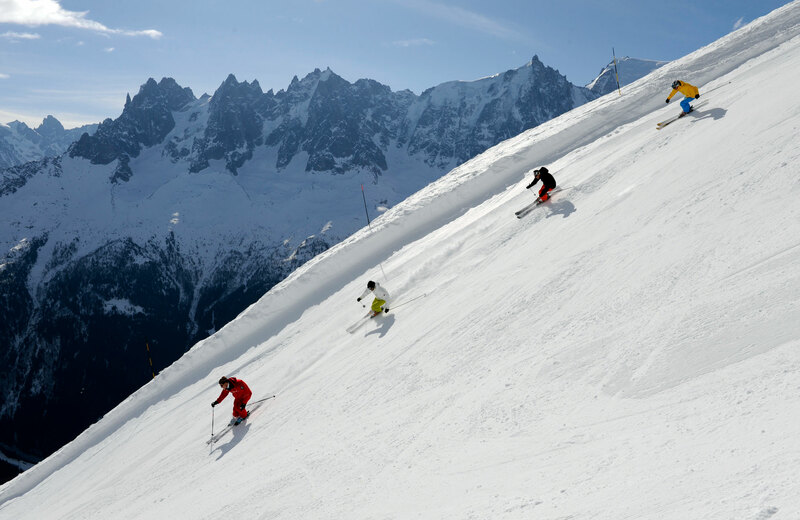 After spending your first few days exploring the impressive ski terrain of Chamonix Mont Blanc, our team will whisk you away in our private minibuses through the Mont Blanc tunnel to the Italian resort of Courmayeur. A member of our team will show you the best of this picturesque resort, where you can enjoy quiet tree-lined runs, off-piste hidden secrets and of course enjoy sampling delicious Italian coffee and cuisine. Later in the week, you will cross the border into Switzerland, where our minibus will take you to the famous Swiss resort of Verbier. 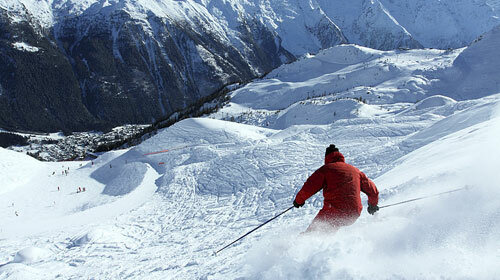 You can enjoy high altitude, glacier skiing in this lively resort with consistently good snow conditions. 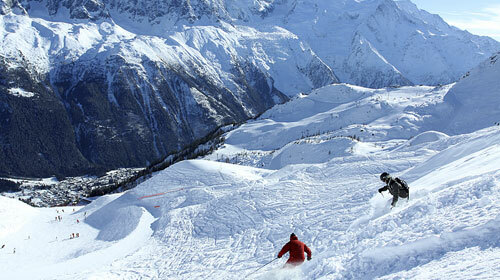 The on and off-piste terrain in Verbier suits skiers and snowboarders alike. There is even is snowpark for the more adventurous skiers and boarders. 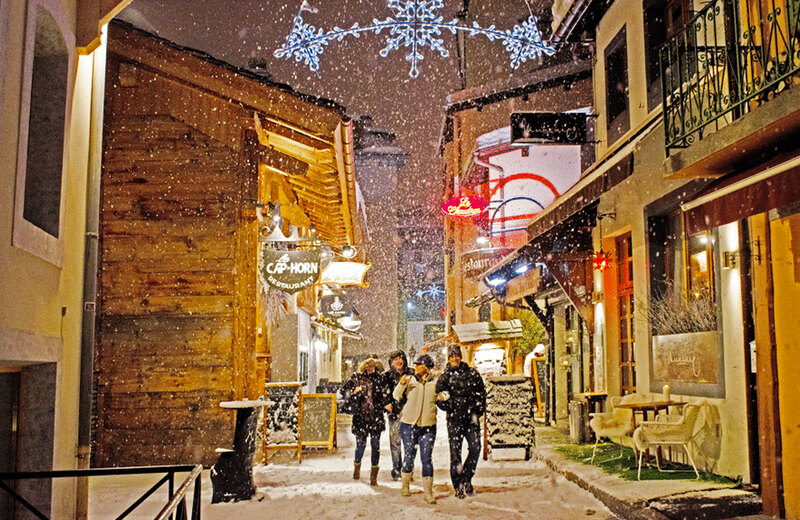 Our team will be on hand throughout the week to offer efficient transfers to and from the ski resorts, offer advice and information about the different resorts and to show you around the Italian resort of Courmayeur and the Swiss resort of Verbier. Piste maps of the different resorts will be available. 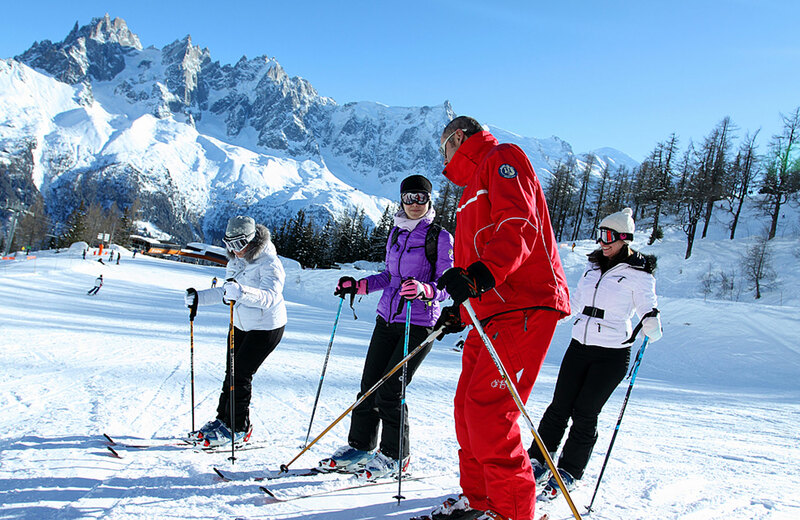 This holiday includes one day skiing Courmayeur in Italy, one day Verbier in Switzerland (50% discount with Mont Blanc ski pass), followed by a choice of mountains in the Chamonix valley including Grands Montets, Flegere, Brevent Le Tour & Les Houches as well as the new Evasion ski area including St Gervais, Megeve & Les Contamines. The holiday price includes private transport to all ski resorts on the itinerary including Chamonix, Courmayeur & Verbier.